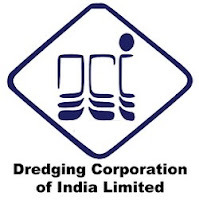 Dredging Corporation of India Limited, or DCI, is a Miniratna Indian public sector unit engaged in the business of dredging. DCI does dredging for Indian seaports exclusively. General Manager: Applicants who have completed Member of ICAI/ ICWAI or equivalent from a recognized Institute for DCIL Recruitment 2018. DY General Manager: Applicants who have completed Master (FG) COC/ COS or Dredge Master, B.E/ B.Tech in Civil engineering OR M.Tech or equivalent from a recognized Institute for DCIL Recruitment 2018. Manager: Applicants who have completed B.E./ B.Tech. (Electricals/ Electronics/ Communication/ Instrumentation or any combination thereof) from a recognized University or equivalent from a recognized Institute for DCIL Recruitment 2018. Asst. Manager: Applicants who have completed Member of CA/ ICWAI or equivalent from a recognized Institute for DCIL Recruitment 2018. Surveyors: Applicants who have completed Diploma in Civil Engineering, Diploma in Survey Engineering OR its equivalent OR Survey Recorder of Indian Navy or equivalent from a recognized Institute for DCIL Recruitment 2018. Messenger: Applicants who have completed 8th Class Pass (Knowledge of Hindi and English is desirable) or equivalent from a recognized Institute for DCIL Recruitment 2018. Management Trainees: Applicants who have completed Fulltime B.E./ B.Tech in Civil/ Mechanical/ Electrical or M.Tech(Dredging and Harbour Engineering) with minimum 60% marks from a recognized University or equivalent from a recognized Institute for DCIL Recruitment 2018. Eligible & Interested candidates can apply via online in Official website page at www.dredge-India.nic.in DCIL Recruitment 2018. Complete the DCIL Jobs Application Form with the essential data. Take a print out of DCIL Recruitment 2018 online application form.